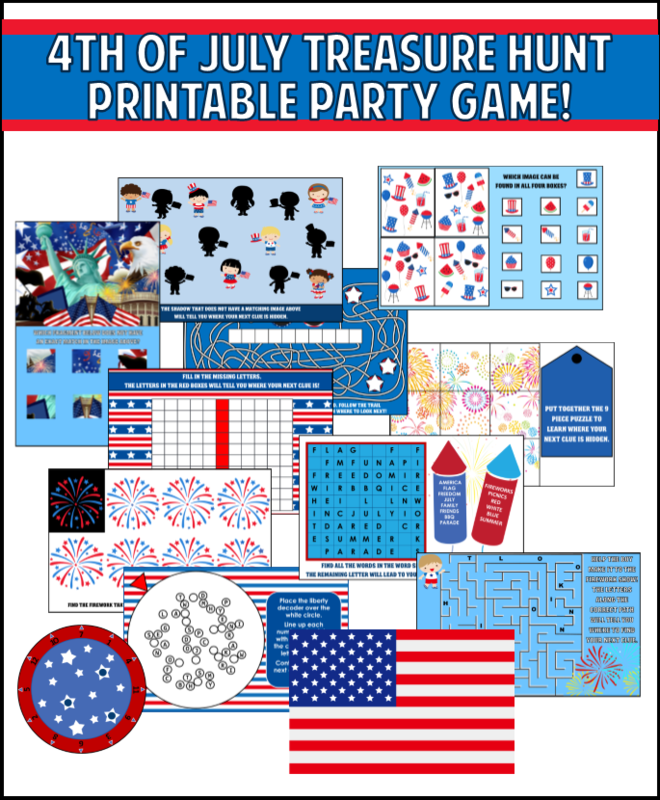 Our exclusive 4th of July treasure hunt is perfect for those looking for a new and exciting kids activity to add to your Independence Day party, picnic, barbecue, or celebration. The hunt features 10 clues that are themed around the 4th of July. Each clue is a different type of game, puzzle, or challenge for the players to solve to learn the location of the next clue. The variety of the clues is great. 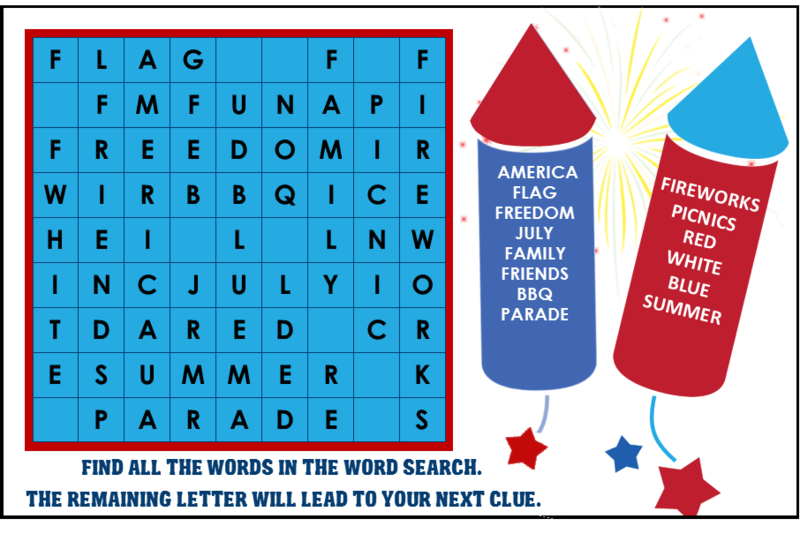 One clue is a maze, another a secret message you can only discover with our Liberty Decoder, another is a puzzle that players must put together to discover where the next clue is hidden, another a word search that when all the words are found the remaining letters spell out the next clue location, etc. 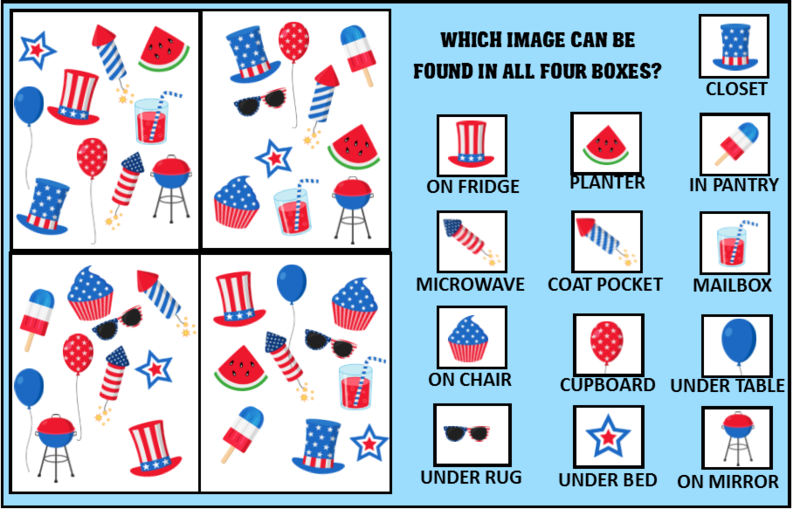 how does the 4th of july treasure hunt game work? When you download our hunt, you will receive a PDF with the 10 clues and set up instructions. This game was designed for players ages 6+. Players need to be able to read and spell. The game usually takes between 30-45 minutes to play. You can use all the clues, or if you want to remove any for any reason (some want to create a shorter game) you can do that. 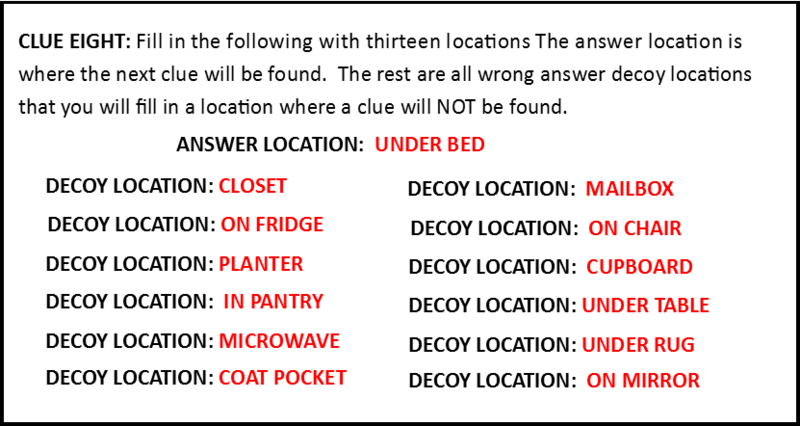 Next, you will determine the places you want to hide your clues and then fill in the clue locations (see examples below). If you want to play with multiple teams racing against each other to the treasure you simply set-up and print out as many sets of clues as you have teams. Once all the clues are printed out, hide them in the locations you decided, and hide the VICTORY FLAG along with whatever treasure you chose in the location provided by the last clue. The first clue is not hidden, it is given to players to start the game. 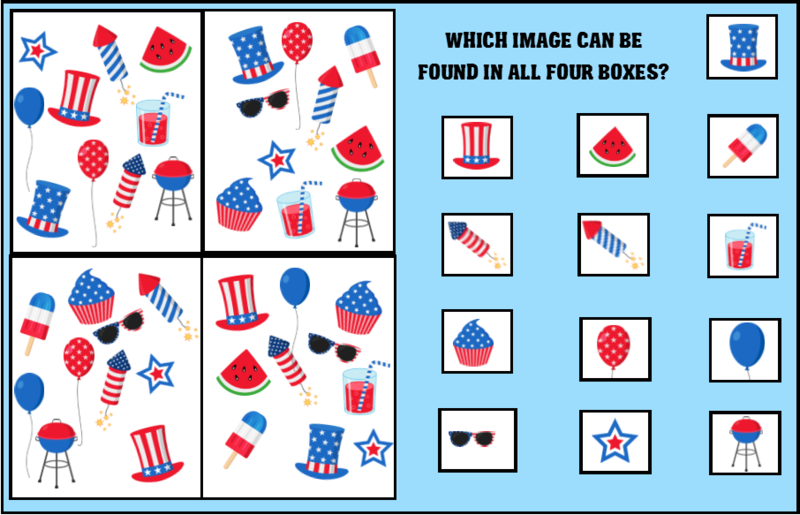 how do you edit the 4th of july treasure hunt game? 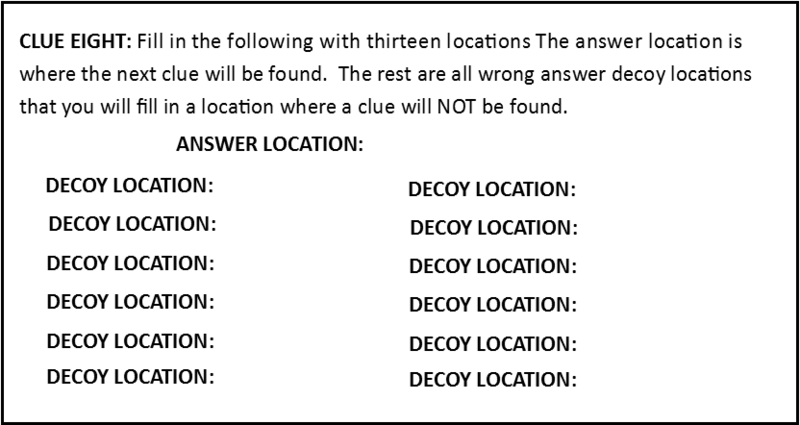 In the set up instructions you will see different instructions for each clue. The instructions below is what you will see for the clue shown above. The first clue of the hunt is not hidden, it is put aside. Hide all the other clues according to your chosen locations. That means whatever location is the answer to the first clue you put aside will be where you hide the next clue, and the answer(location) to that clue is where you will hide the clue after that - and so forth. The last clue should lead to the VICTORY FLAG and whatever treasure you have decided upon. To begin the game give the players that first clue you put aside. Let the fun begin! GET your 4th of july treasure hunt GAME NOW! This game is available for INSTANT DOWNLOAD. That means that you will get an email within moments of your purchase being completed. If you don't see it in your inbox, please check your junk folder before contacting me - that is the usual culprit.